Details of the Walker family in the Grewelthorpe area.Research started June 2014. Latest update Jan. 2019. Letter from Jo Jolliffe October 2014. and photos of Walker family May 2015. I am a descendant of the Walkers from Grewethorpe and I see you have been researching them quite recently. 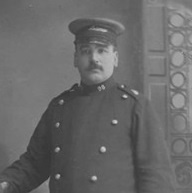 My grandfather was William Henry Walker, AKA Harry Walker b 1891 in Grewethorpe, who was a tram driver in Huddersfield, as was his father, William (Billy) Walker (who was married to Margaret Hannah Close). William (Harry) never returned from WW!, and we never knew what happened to him. Possibly a deserter. I have posted a message on Ancestry.co.uk just in case … well who knows! I have done further research about the Walkers, and maybe I can add to your website when I get the chance. However, I also write about Albert Whitfield who was Harry’s first cousin, the child of William Walker’s sister (Emma I think). He was born in Sessay but by age 2 he lived in Grewelthorpe and in the 1901 census was living with the Walkers. Albert died on Feb 8th 1916 in France. Although he was not born in Grewelthorpe he lived there as part of the Walker family through his childhood. I wonder if he could be remembered on the memorial? I currently live in the Middle East but hope to visit Grewelthorpe before too long. Jo contacted us again in May 2018 asking for photos. If you can help Jo with photos or information particularly about Harry who went missing in WW1. Please contact the site. ANDREW WALKER. Born C1847 Masham. House Painter. Married to Martha of Healey. ANN WALKER. Born C1841 Kirkby Malzeard. In 1861 a servant in Ripon. ANNIE ELIZABETH WALKER. Born 26 .7. 1856 Constable Burton. Died 7 July 1942 Leyburn. Dau of Thomas & Mary Bell. Annie Elizabeth Walker aged 14. CICELY WALKER. Born 27 June 1912. A Gardener in Mickley in 1939. Later married ? Boon. DOROTHY MARY WALKER. Born 1901 Masham. Dau of James & Elizabeth. In 1911 in Harrogate. EMMA WALKER. Born C1866 Spennithorne. Died November 1939 North Vancouver. Dau of Thomas & Mary Bell. Married in 1890 to John Thomas Spence of Studley Roger. Emigrated to Canada. EMMA WALKER. Born C1879. Died C1950. Dau of William & Margaret Hannah Close. Married Fred Williams. EMMA WALKER. Born C1892 Grewelthorpe. Dau of William [train driver] & Margaret. In 1911 she was a ring twister in a cotton mill in Huddersfield. ERNEST H. WALKER. Born 1921?. Son of James [stonewaller] & Henrietta. He was a hairdressers assist. in 1939. Living in Fearby. FRANCIS WALKER. In 1822. occupied all the freehold estate known as Newlands. Grewelthorpe. FRED WALKER. Born C 1902 Masham. Son of James & Elizabeth. In 1911 in Harrogate. GERARD WALKER. Born 10 Nov. 1911. Married to Margaret. Joiner on govt. work. Living Ripon 1939. GERTRUDE WALKER. Born C1894 Grewelthorpe. Dau of William [train driver] & Margaret Hannah Close. In 1911 she was a winder in a cotton mill in Huddersfield. GEORGE CHARLES WALKER. Born 21 Dec 1908. Married to Edith [born 1914]. Lived at Masham Station. in 1937. He was a member of the LNER Ambulance movement and was awarded a gold bar for 30 years efficient work . [Ref. Leeds Mercury July 1937]. In 1939 he lived Quaker Terrace Masham and was a Heavy Goods Vehicle driver. HARRY WALKER. born WILLIAM HENRY. Born C 1891 Grewelthorpe. Son of William Michael [train/tram driver] & Margaret Hannah Close.. In 1911 he was living in Huddersfield & he was a brass moulder. Went missing in WW1. 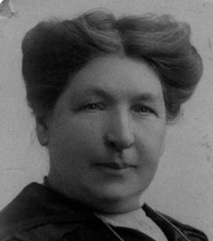 Married Ellen Cantwell of Bradford in 1914. HENRY WALKER. Born 31 Jan 1878. Married to Mary A. [Born 1886]. Dairy farmer living Winksley in 1939. HETTY WALKER. Born C1899 Kirkby Malzeard. Grand daughter of Edward & Ann Wood. H.WALKER. Born C1917 Leyburn. Reported in Yks Post 1929 that he had done well in School sports. JAMES WALKER. Born C1877 Masham. Married in 1899 to Elizabeth of Ripon. In 1911 living Harrogate. JAMES WALKER. Born 9 July 1886. Married to Henrietta [Born 1888]. He was a stone waller living Fearby in 1939. SIR JAMES R. WALKER. Bart. of Masham. Became a candidate for Ripon Council in Nov. 1888. [Ref. Yorkshire Gazette 1888]. JANE WALKER. Born 1807. Died 5 Aug 1876 Masham. Married 21 Dec 1833 to Matthew Wintersgill. of East Witton. Lived Swinton Masham. JANE WALKER. Born C1847 Kirkby Malzeard. Dau of John & Hannah. JANE WALKER. Born 1862 Spennithorne. Dau of Thomas & Mary Bell. Married Ernest Alfred Whitfield of Kirby Underdale in 1890. JOHN WALKER. Born C1812 Ellingstring. Railway clerk in 1861 in Sharow. Married to Ann of Kirkby Malzeard. JOHN WALKER. Born C1817 Sawley. Married to Hannah of Lunedale. Living Killerby, Ingleton in 1871. JOHN WALKER. Born C1843 Kirkby Malzeard. Married to Elizabeth of Grewelthorpe. In 1911 he was a teacher of music in Durham. They had been married 36 years. JOHN WALKER. Born 21 Nov. 1864. Married to Mary A. [Born 1866]. He was a boot repairer living Fearby in 1939. JOHN W. WALKER. Born 1871 Masham. Son of Andrew [Painter] & Martha. JOHN G.WALKER. Born 9 July 1914. Married to Freda [born 1914]. Gardener living Quaker Terrace Masham in 1939. LAWRENCE WALKER. Born 21 April 1916. Son of James [stonewaller] & Henrietta. He lived Fearby in 1939. LILLA WALKER. Born 8 April 1913. Son of Henry & Mary A. of Winksley. Married ? Horsfall. LIZZIE WALKER. Born C1896. Dau of William [train driver] & Margaret. In 1911 she was a weaver in Huddersfield. MAGGIE WALKER. Sister of T.W.Walker of Masham. Dau of George Walker. Bridesmaid at Brother’s wedding in 1935. MARGARET HANNAH WALKER [nee Close]. Born 1868 Ripon. Died Dec 1943 Huddersfield. Married William Walker in 1889 in Ripon. Dau of James & Elizabeth Close [nee Geldart]. MARJORIE WALKER. Born C 1903. Dau of William [train driver] & Margaret.MARY H. WALKER. Born C1859 Finghall. Dau of Thomas the Bailiff & Mary Bell. Unmarried in 1901. Mary H. Walker. Age 12. MARY ANN WALKER. Born 1828 Fearby Cross Masham. Died 21 April 1898 Leeds. Dau of Robert & Elizabeth Ridley. Married 1 June 1850 to James Pounder. a master shoemaker. MARY E. WALKER. Born C 1869 Masham. Dau of Andrew [Painter] & Martha. MARY WALKER. Born C1908 Starbeck. Dau of James & Elizabeth. RACHEL WALKER. Born c1864. Dau of Thomas & Mary Bell. RALPH WALKER. Born C1788 Masham. Grandfather of George Crabtree. [Ref. 1861 Census]. REGINALD WALKER. Born 21 Dec 1913. Farm Lab. Unmarried in 1939. Living K.Malzeard. Thomas Walker b1833………..Thomas & Mary Walker. TOM WALKER. Born C 1903 Grewelthorpe. Son of James & Elizabeth. In 1911 in Harrogate. T.W. WALKER. Son of George Walker of Masham. 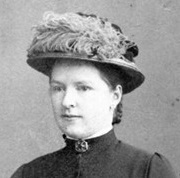 Married Dorothy I’Anson. of Waterloo House, Masham. 3rd dau. of C.I’Anson on 22 April 1935 in St Mary’s Church Masham. [Ref. Leeds Mercury 1935]. WILLIAM WALKER. Born C1844 Kirkby Malzeard. Nephew of William & Catherine Richmond. WILLIAM WALKER. Born 19 Dec.1865. An Ostler. Unmarried living in Whitehorse hotel Ripon in 1939. WILLIAM MICHAEL WALKER. Born 1868 Grewelthorpe. Possibly died 1951. Son of Thomas & Mary Bell. He was a train/tram driver. 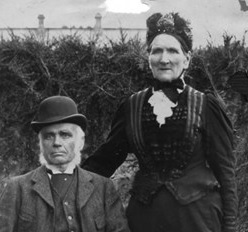 Married in 1889 to Margaret Hannah Close. of Winksley. In 1911 living Huddersfield. they had had 7 children, 2 had died. WILLIAM WALKER. Born March 1871. Married in 1897 to Isabel Ann Spetch. [born 1873]. A retired railway clerk living Ripon 1939. WILLIAM HENRY WALKER. Born 1891 Grewelthorpe, see under Harry. WILLIAM WALKER. Born C1899 Masham. Son of James & Elizabeth. In 1911 living Harrogate. WILLIAM WALKER. Born 4 Jan 1915. Married to Ina [born 1916]. Scrap metal dealer living Ripon in 1939. 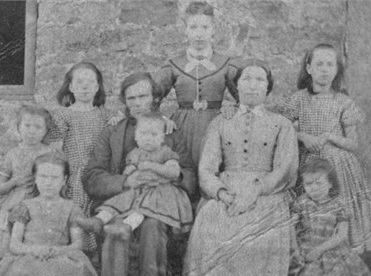 Thanks to Jo Jolliffe for picture.The family of Thomas & Mary Bell.– Back Row, Annie (14), Second Row, Eleanor (10), Thomas (38), Mary [Bell] (44), Mary (12), Third Row, Rachel (6), William (2), Front Row, Jane (8), Emma (4). Location Harmby Moor about 1870.